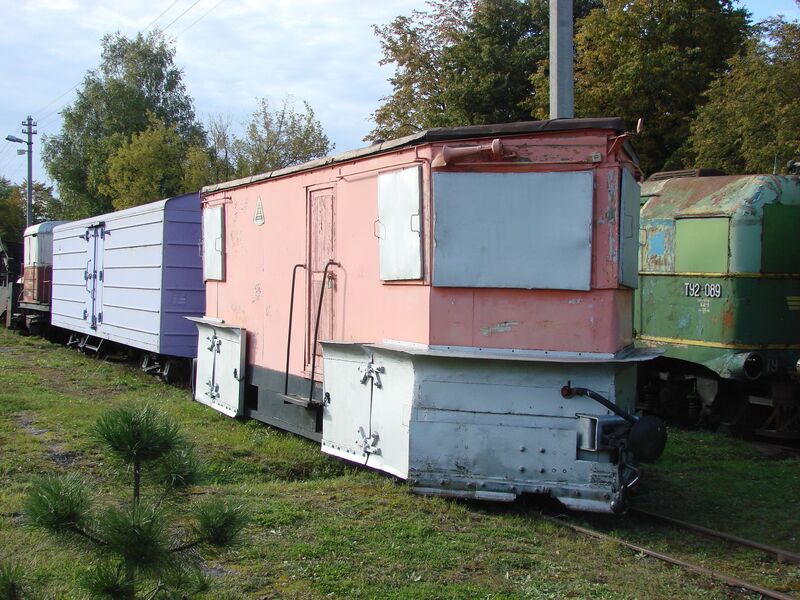 Like everywhere in former Soviet Union, also Lithuania used to have extensive networks of narrow gauge trains. But like in the two other Baltic countries as well, beginning from the 1970s everything was closed down. 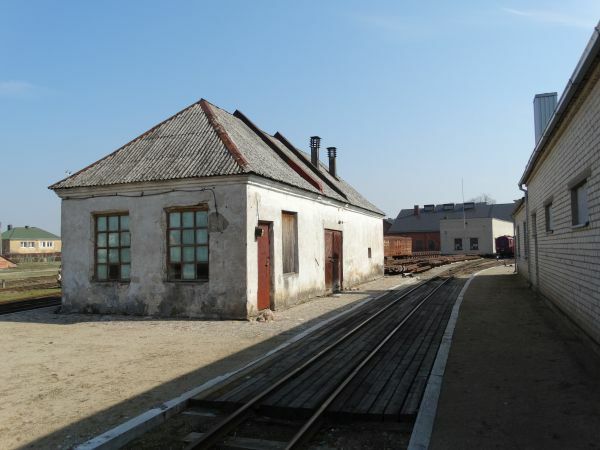 The last remains in more or less operational order, but without any scheduled traffic was in Panevėžys, close to the Latvian border. All operational activities north of Panevėžys were closed down in 1996 due to the desolate state of the tracks, but the narrow gauge railway was given the status of a cultural heritage item and gradually tourist trains started to run. Aukštaitijos narrow gauge railway is now 68 km long 750 mm gauge railway from Panevėžys to Rubikiai. 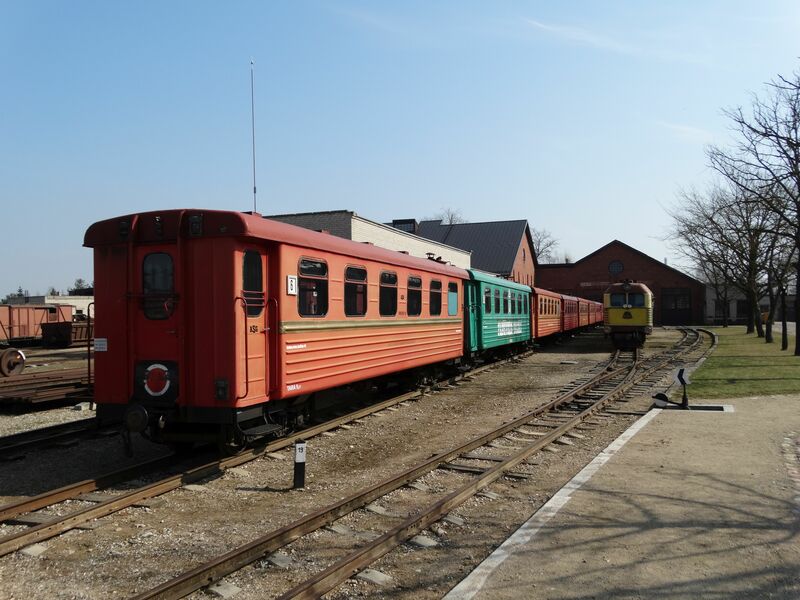 With some European Union funding aid, a new narrow gauge touristic station has been built in Panevėžys and a couple of locomotives and coaches have been restored. 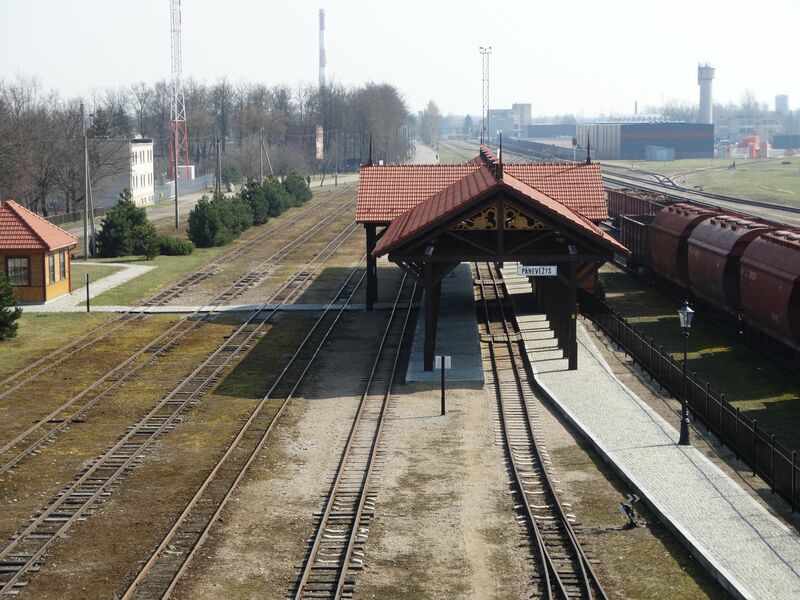 This picture shows the new station in Panevėžys. Picture 2.4.2017 by Ilkka Siissalo. Tourist trains are today pulled by three Soviet Russian class TU2 diesel locomotives dating back to the 1960s. This is one of them. 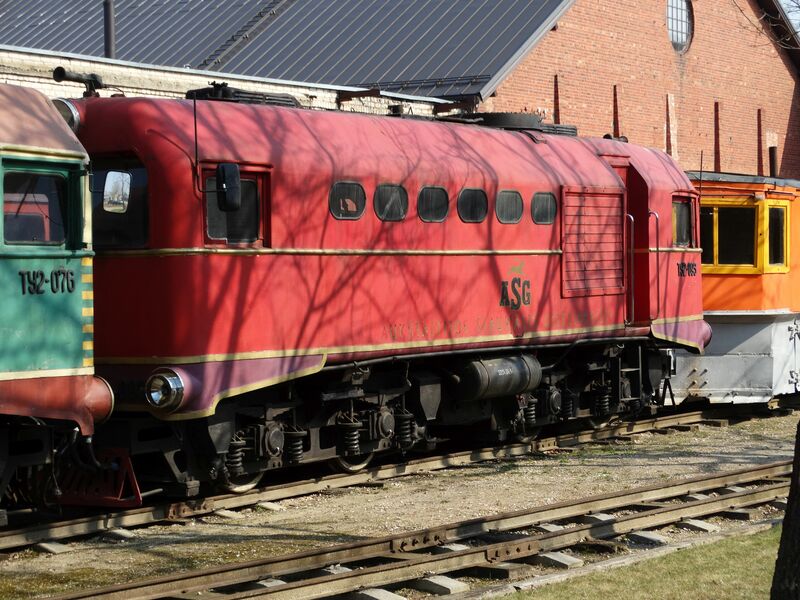 The text "ASG" stands for Aukštaitijos Siaurasis Geležinkelis or narrow gauge railway of Aukštaitis. Picture 2.4.2017 in Panevėžys by Ilkka Siissalo. Another view of the same TU2 no. 093 as above. Picture 2.4.2017 in Panevėžys by Ilkka Siissalo. TU2 no.076 is still in its Soviet time colours. Picture 2.4.2017 in Panevėžys by Ilkka Siissalo. 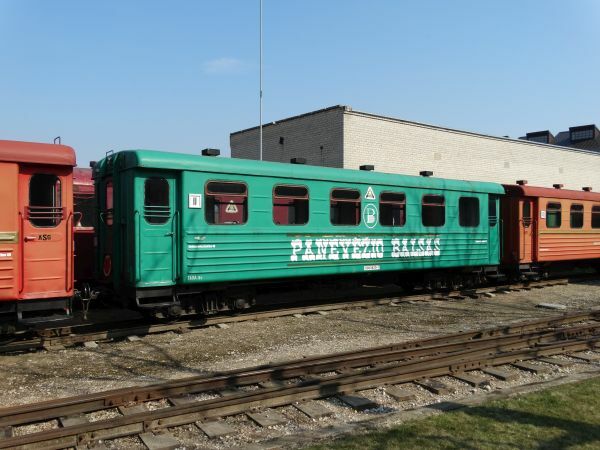 One of the tourist train coaches has been painted in the company colours of a sponsor, Panevėžio Balsas or the Balsam of Panevėžys. Picture 2.4.2017 in Panevėžys by Ilkka Siissalo. One of the tourist train coaches in "normal" ASG paintings. 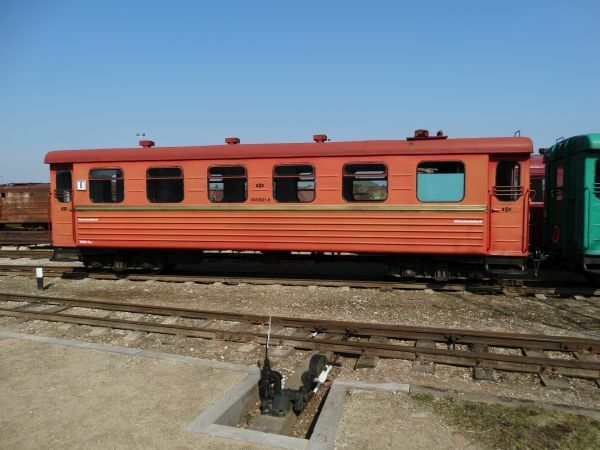 During Soviet socialist times these coaches were dark green. Picture 2.4.2017 in Panevėžys by Ilkka Siissalo. 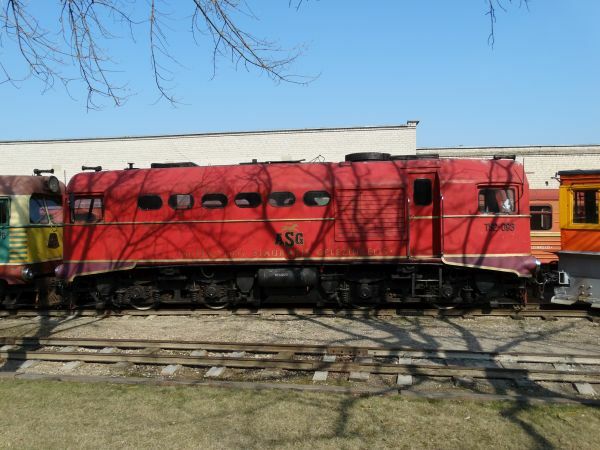 The whole ASG touristic train. Picture 2.4.2017 in Panevėžys by Ilkka Siissalo. 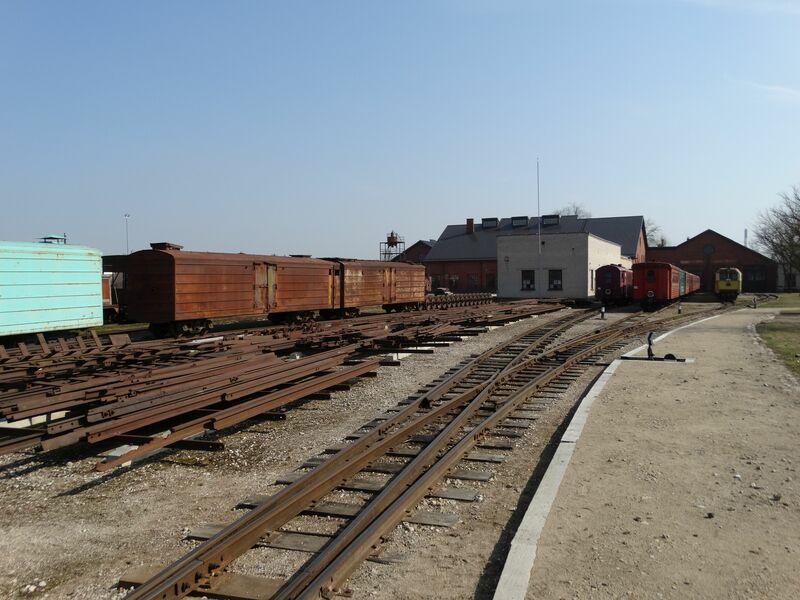 There was once a really large depot for narrow gauge trains in Panevėžys, but now much is in a desolate state. But even so, now the area is well guarded and vandalism has been gotten under control and many of the items are being put in order one by one. Behind the rusty coaches yet another TU2 locomotive (green) and to the right of it a TU6. Picture 2.4.2017 in Panevėžys by Ilkka Siissalo. 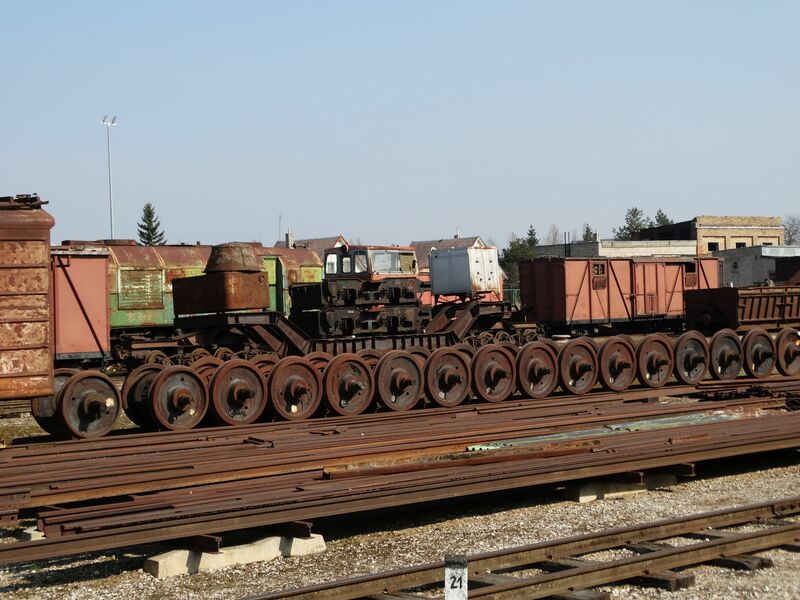 Many of the cargo wagons are in a very rusty condition. Picture 2.4.2017 in Panevėžys by Ilkka Siissalo. Old, now unused parts of the depot. Picture 2.4.2017 in Panevėžys by Ilkka Siissalo. A project for some hobbyists ? 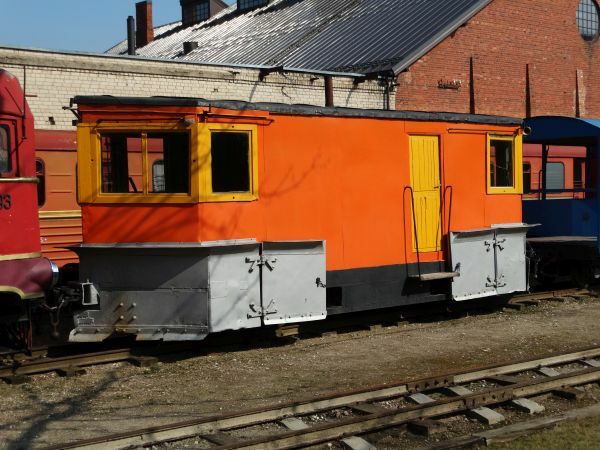 This clearly has once been a Polish made Pafawag narrow gauge coach in the 1960s. Picture 2.4.2017 in Panevėžys by Ilkka Siissalo. An old snowplough. Picture 2.4.2017 in Panevėžys by Ilkka Siissalo. Exactly the same snowplough 10 years earlier in 2007. 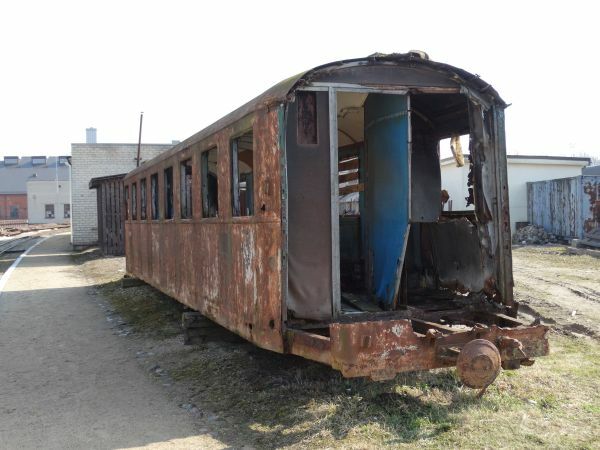 Nothing was moving on the narrow gauge line, all windows were covered, most coaches and locomotives were in bad shape. It's a relief to see so much progress in the conservation of these old narrow gauge trains during the last few years. Picture 16.9.2007 in Panevėžys by Ilkka Siissalo. 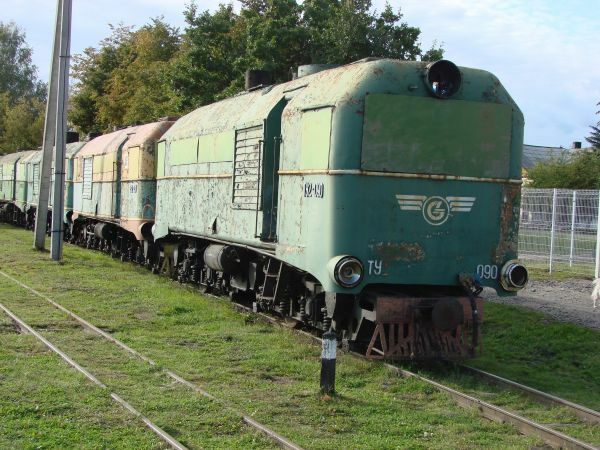 In 2007 there was just a long line of old TU2 locomotives with Soviet time texts and paintings rusting by a siding and nothing was moving. Picture 16.9.2007 in Panevėžys by Ilkka Siissalo. 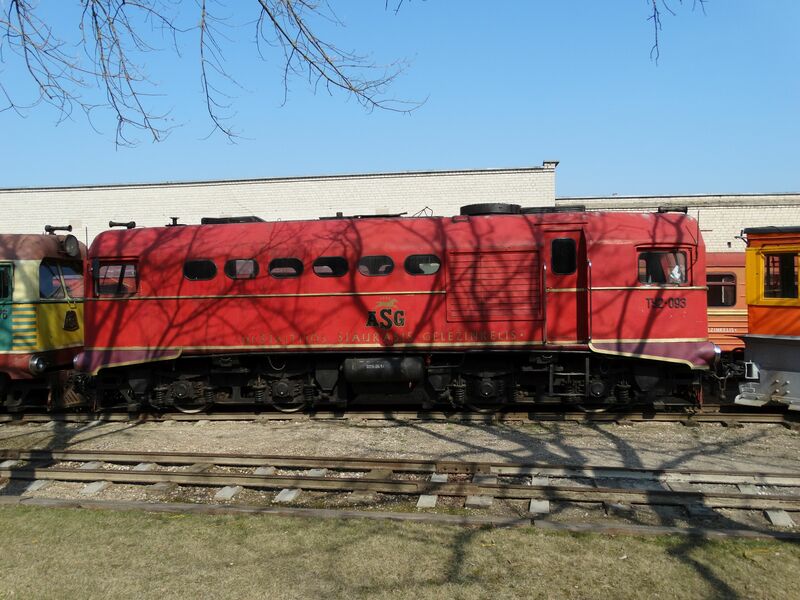 In 2007 I would have never believed that 10 years later three of these locomotives would be operational again. Picture 16.9.2007 in Panevėžys by Ilkka Siissalo. Until 1960s the most common narrow gauge locomotive type in Lithuania - like in most other parts of USSR as well - was this type, in Lithuania known as Kp4. 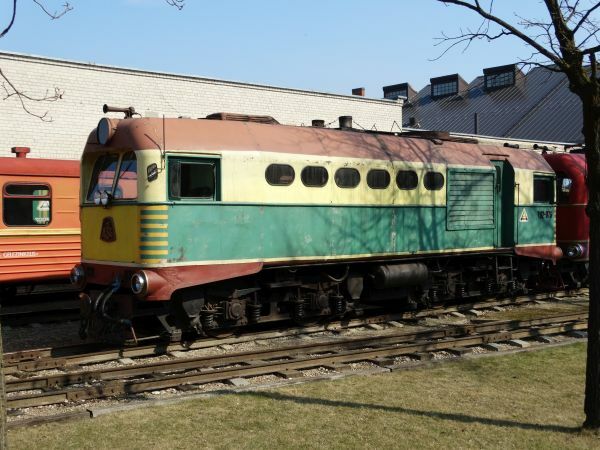 They were built after the second world war in many countries, including Finland, Czechoslovakia, Hungary and USSR and were common throughout the eastern block. 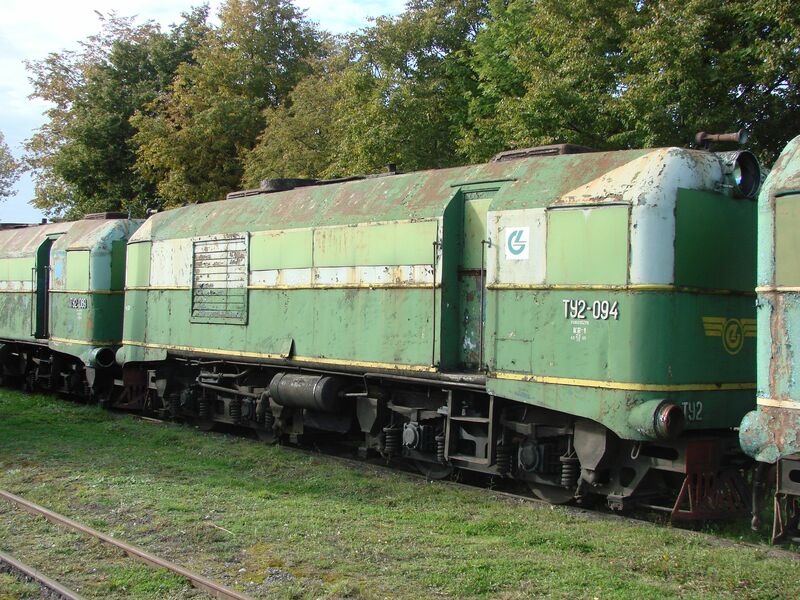 For more pictures and information of this locomotive type, see archive category Latvia -> narrow gauge. 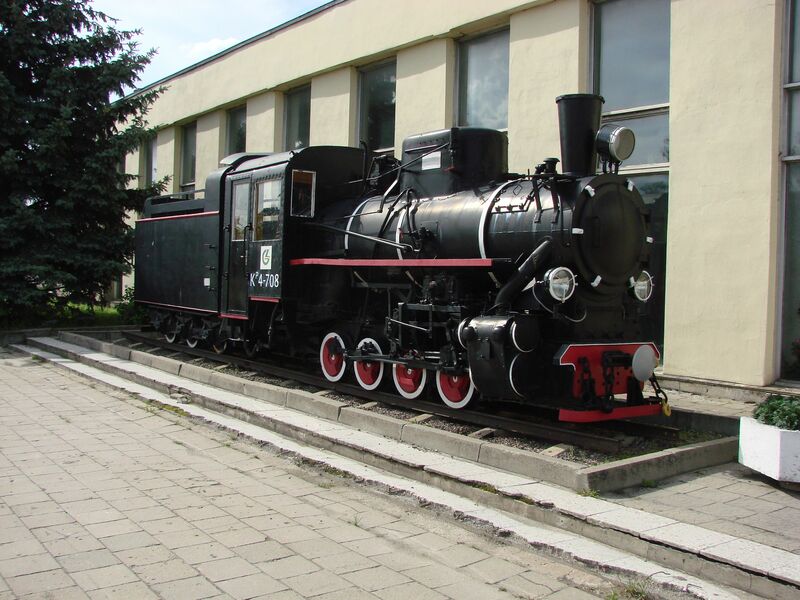 When this picture was taken in 2007 this locomotive was still standing as a monument in front of the Panevėžys station, but it is there no more. This individual had been built in Chrzanow in Poland in 1957. Picture 4.7.2007 in Panevėžys by Ilkka Siissalo.